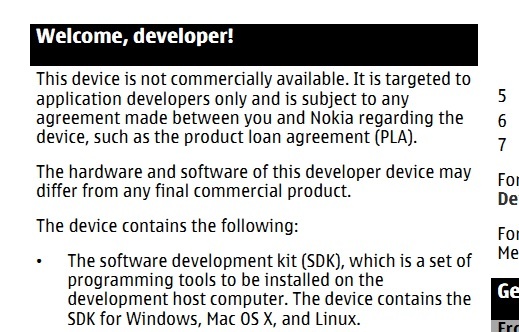 The confidentiality on the RM-680 is over – the manual for the Nokia N950 is available online. I meant to check this yesterday- thanks to Alee for the reminder. The manual is light on actual usage instructions of the phone like usual manuals as this is targeted to the developer.